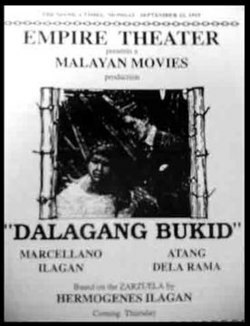 Dalagang Bukid is a story about a young flower vendor named Angelita (Atang de la Rama), who is forced by her parents to marry a wealthy old man, Don Silvestre, despite her love for Cipriano, a law student. 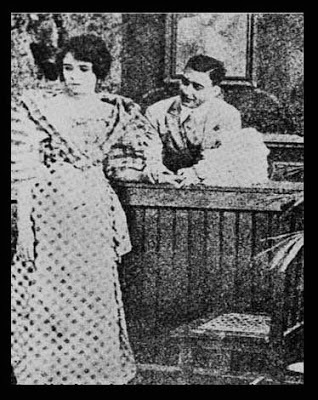 Angelita's parents are blind to her reciprocated love for Cipriano, as their shortage of money and consumption by various vices (gambling and cockfighting) make Don Silvestre's offer of marriage attractive. Don Silvestre is an old loan shark who visits cabarets and buys flowers from pretty young florists like Angelita. Meanwhile, Angelita and her brothers, who are working as shoe shiners at the threshold of the Church of the Holy cross, maintain the expenses of the house (and their parents' vices) with their labor. 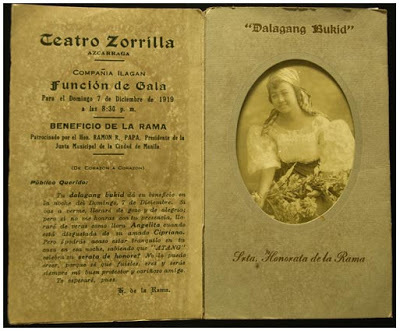 Don Silvestre, meanwhile, offers to arrange for Angelita to win a beauty contest in "La Vanguardia" in exchange for her hand in marriage. 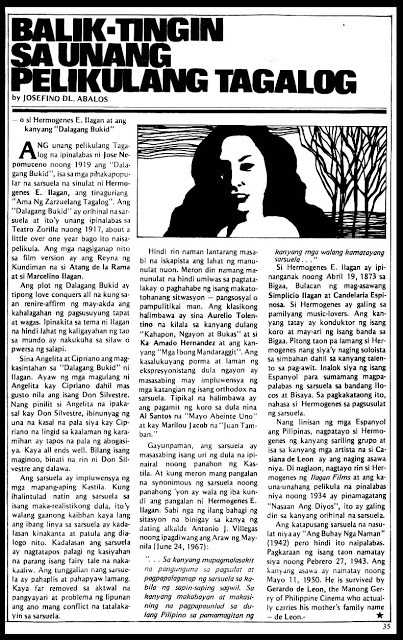 Her parents accept the offer and the date of the wedding is set for the next day, which will see the formal crowning of Angelita as the beauty queen. However, Cipriano, who has just finished his studies, goes to Angelita's house just in time to prevent Angeita from entering Don Silvestre's car, which was to take her to the coronation ceremony. Instead of going to the event, Angelita and Cipriano go to the church, where they are wed in. After the wedding, they go to the coronation event together and announce their union as husband and wife. Don Silvestre faints upon learning the news.